San Francisco is apparently the city of sisterly spats, at least for the Kardashians. In ET’s exclusive first look at Sunday’s all-new Keeping Up With the Kardashians, Kim, Khloe and Kourtney are enjoying some sightseeing in the City by the Bay -- some more than others. Khloe and Kim are snapping pictures of Fisherman’s Wharf from a boat ride back from visiting Alcatraz Island, while Kourtney chats away on her cellphone. When she takes a break from her call to point out the Ghirardelli Chocolate Factory, Khloe flips. You’ll have to tune into Keeping Up With the Kardashians on Sunday at 9 p.m. ET on E! to see what happens next with the sisters. In January, Khloe confessed to ET that Kourtney was getting on her nerves when it came to pregnancy and parenting advice. 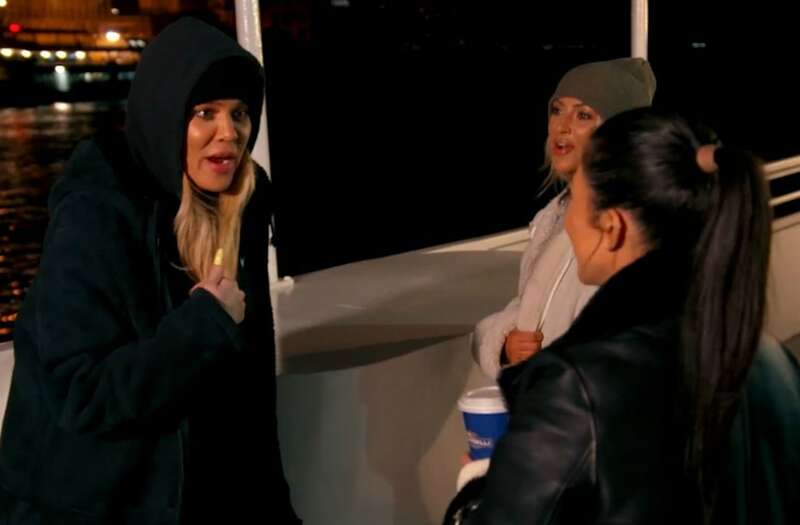 Khloe Kardashian Snaps at 'Selfish' Sister Kourtney For Always Being Late on 'KUWTK' Finale -- Watch! Kardashian Sisters Make a Statement in Tokyo: Khloe's Baby Bump, Kim's Pink Hair & Kourtney's Abs!